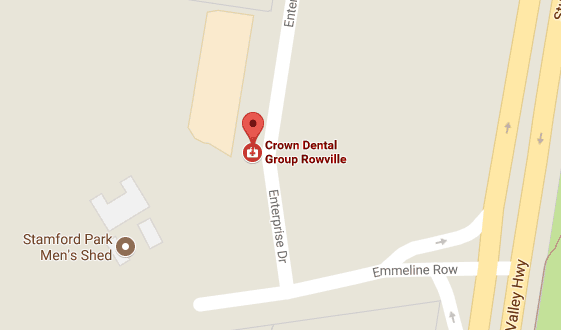 Crown Dental Group offers you the latest and safest advancements in tooth whitening that will transform your smile. Teeth whitening is a simple treatment that can make a dramatic difference to your appearance. Are you interested in a brighter, whiter smile? Whether you seek a light, fresh rejuvenation or a Hollywood white, we have affordable solutions for you. Teeth whitening treatment can lighten your teeth by up to eight shades and last between one to two years depending on your lifestyle. Though teeth are naturally white and radiant, teeth can be stained by foods, beverages, smoking, alcohol, poor oral hygiene habits, ageing, trauma and general wear and tear. With so many factors causing discolouration, you need solutions that keep your smile at its healthiest white. The Zoom! whitening system is the best available on the market and gives you long-lasting outcomes. Safely whiten your teeth up to eight shades in just 45 minutes. Zoom! uses light-activated technology that is 40% more successful in whitening dull, stained teeth than other systems without light activation. You’ll see immediate results and be in the hands of our fully qualified dental professionals. The Zoom! Day White and Nite White take-home treatments allow you to whiten your teeth conveniently in your own home. The custom-fitted whitening tray fits the contours of your teeth perfectly, giving you the same bright, gleaming results that are safe for your teeth and gums. Can you whiten decayed teeth? In short, no. Teeth whitening is a cosmetic procedure while tooth decay is a health concern. Teeth whitening will not alleviate tooth decay and cannot change the fact that your teeth are deteriorating. During professional teeth whitening, we take every measure to ensure patients are comfortable. If you experience discomfort during the process it is important to notify your dentist immediately as this could be a sign of a dental issue. Sensitivity for a few days after the procedure is normal, however, if sensitivity is severe or continues beyond the average 48 hours you should notify your dentist. Is there such a thing as over whitening your teeth? Yes, too much hydrogen peroxide is bad for you and can lead to overly sensitive teeth. This is one of the reasons you should visit a dentist for professional teeth whitening. They can help you get results that no only look great but also don’t adversely affect your dental health. If you’re looking for professional teeth whitening in Melbourne, Crown Dental Group offer a range of whitening solutions to create a lasting impression. To experience the benefits of a healthy, sparkling-white smile, contact us today!